A project promoting, studying, and enriching Art and Culture sustained by the desire to create a strong network of relations between artists and cultural institutions. “If the artistic cultural heritage is the core of our identity and historical memory, what role must a cultural institution assume in Italy or in the international contemporary artistic scene?”. Thus, the mission of the Concilio Europeo dell’Arte is to align itself to the “secular culture of conservation” and to the increasingly felt need to guide and promote the contemporary artists and provide them indispensable services. The chosen dimension is Europe, perceived more as a natural boundary that instead goes beyond the limitations of a traditional approach of stopping at national borders. The Concilio Europeo dell’Arte has devoted itself, since its birth in 2006, to providing various structures and instruments to meet the ever-changing needs of the European cultural scene. 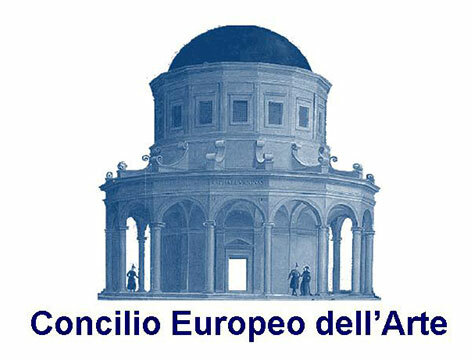 Now, the CEA Association and the Concilio Europeo dell’Arte Foundation coexist and collaborate on the artistic and cultural project of the “Council Group” in Italy and abroad.